Apple is seeking to void some of Qualcomm's patent claims and licensing agreements, intensifying its legal battle with the chip maker over the technology in iPhones and iPads. In a federal court filing Tuesday, Apple cited a Supreme Court ruling last month that a printer-cartridge maker's patent rights end with the initial sale of the cartridges. Apple says that ruling strengthens its argument that Qualcomm cannot continue to demand royalties for the patents after selling its cellular chips. 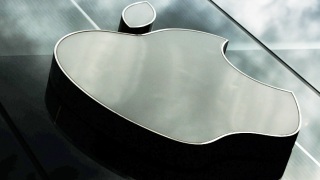 The new court documents expand on a $1 billion lawsuit Apple filed in January in U.S. District Court in San Diego. Qualcomm has disputed Apple's claims that it is overcharging for patent-related license fees. Apple is also seeking to narrow the list of Qualcomm patents covered by its products. In addition, it argues that licensing fees based on a percentage of iPhone and iPad prices are unfair because Qualcomm's technologies cover a small portion of what goes into those devices. One argument working in Qualcomm's favor, however: Apple and its contractors signed agreements to pay licensing fees this way. Apple says it was coerced to do so because Qualcomm chips were essential to Apple's products. Apple is now less dependent on Qualcomm because Intel makes similar chips. The U.S. Federal Trade Commission has also accused Qualcomm of imposing unfair licensing terms on manufacturers. Regulators in other countries also have been investigating, and South Korea's antitrust regulators have issued an $865 million fine against Qualcomm. If Apple prevails and doesn't have to pay as much in licensing fees, it's not likely that those savings will be passed on directly to its customers, as Apple tends to keep retail prices consistent from year to year. But it could allow Apple to squeeze in more features while maintaining the same profit.